If you have suffered damage to a tooth through decay, infection or other tooth trauma, that tooth may be repaired through a root canal procedure performed by your holistic dentist at West Hollywood Holistic and Cosmetic Dental Care. Having a root canal not only fixes existing damage, but also helps prevent additional damage, infection or decay. Root canal is a common procedure in Dentistry. The extensive cavities which hits the nerve inside the tooth of severe trauma or some dental procedures like filling and crowns may ends up in pain and patient needs to get the root canal. At the root canal procedure , we remove the nerve and and other soft tissue inside the canal. clean the area and fill it with appropriate material. the number of the canals is based on the number of the roots . Back molars mostly have 3 or 4 canals however the front teeth have one. the major filling material of root canal is called Gutta Percha. This is a natural product and is a rigid natural latex from the sap of the tree. Another filling material used in root canal is the sealer which is a spacial cement that covers the gap between Gutta Percha and the canal. The new technology for the sealer is the Bioceramics material . Dr Vafa's material of choice is Brassler bioceramic Sealer which is compatible with our holistic concepts. The comprehensive philosophy of root canal is to clean and disinfect the canals and fill the empty spaces with appropriate and biologic material which does not leave any empty space for the bacteria to remain and grow. if the cleaning and filling the full length of the roots are not possible , then the other options like implant will be considered . Our office is highly recommend the immediate implant for this cases. In Immediate implant we take the tooth out and put Implant at the same time . Although the dental enamel of your teeth's outer surfaces are the hardest substance in the human body, this outer layer of the tooth can still sustain damage. Trauma, tooth decay, infection and other problems can erode the enamel and threaten the structural integrity of the whole tooth. In a root canal, the West Hollywood root canal dentist removes the pulp from inside the canals of the tooth, where soft tissues, blood vessels and nerves exist. After the pulp is removed, the tooth is sealed to prevent additional damage. Most people do not know they need a root canal until the holistic dentist finds tooth decay or damage in a routine exam. If a root canal is necessary, the expert dentist will numb the tooth and areas around it for a painless, stress-free procedure. If you are still anxious about having your root canal, you may also be able to receive dental sedation. Once your affected tooth is entirely numb, the dental expert will drill into the inner chambers and remove damaged tissues. Your tooth will likely have anywhere between one and four root canals that the dentist will address. Once all of the infected tissue has been extracted, your tooth will be sealed for protection. Root canal treatment will remove the thread-like tissue inside your infected tooth's center, extending down into the roots of the tooth. Once that diseased or damaged pulp is removed, your tooth is cleaned, shaped and filled. By having a root canal, you are saving your damaged tooth that would otherwise be lost to decay or injury. This is what used to happen to infected or injured teeth. Now, root canal saves the tooth and helps fortify it for years of continued functioning. Untreated infected or deceased pulp leads to buildup of pus in the root tip at the jawbone. This forms an abscess, a highly painful condition that can be extremely dangerous to the bone surrounding the tooth. An abscess left untreated can even be deadly. 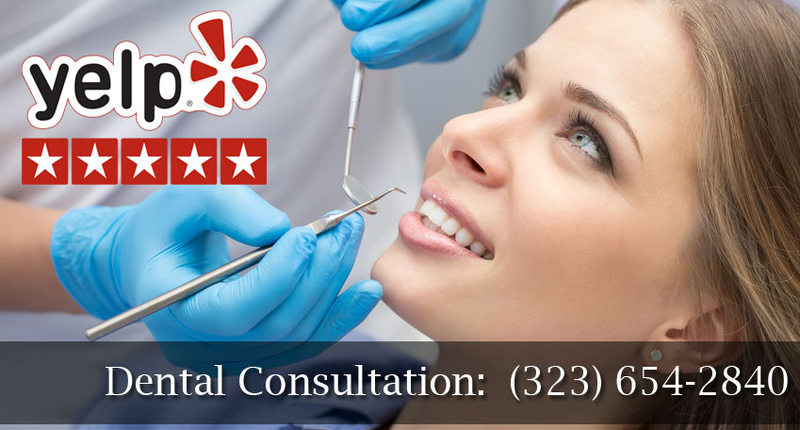 After root canal therapy at West Hollywood Holistic and Cosmetic Dental Care, your restored tooth can last a lifetime, if you take good care of it. You must practice good oral hygiene and visit the dentist regular to ensure you do not experience additional problems with that tooth or others. Although a root canal can permanently save the tooth, some root canal treated teeth become brittle. They can be prone to breaking. This may lead your holistic and cosmetic dentist to recommend placement of a crown over your affected tooth, to help strengthen and protect it. New X-rays may be taken to check on the status of your root canal treated tooth.